Mandarin | Sana Ako si Ricky Lee! I have been wanting to write about the Fu (Mandarin) or Hu (Foo Kien) for quite some time now, however, I debated whether it is proper for me to write about the Fu because it is something that is not easily available or something that can be bought in a store. 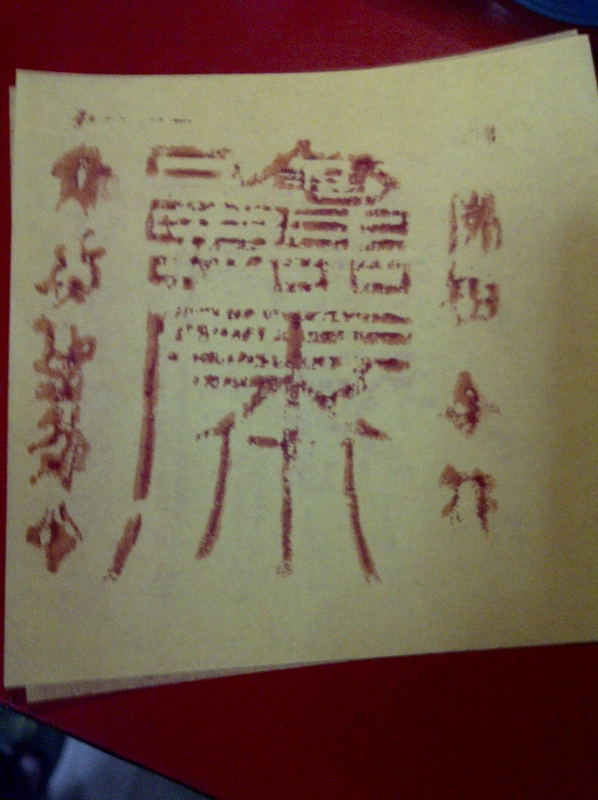 This Fu is from a Taoist temple in Valenzuela called Bi Tsong Put (pronounced as Bee Chong Poot). Depending on the Fu, one usually burns a set, one set is usually 3 pieces. 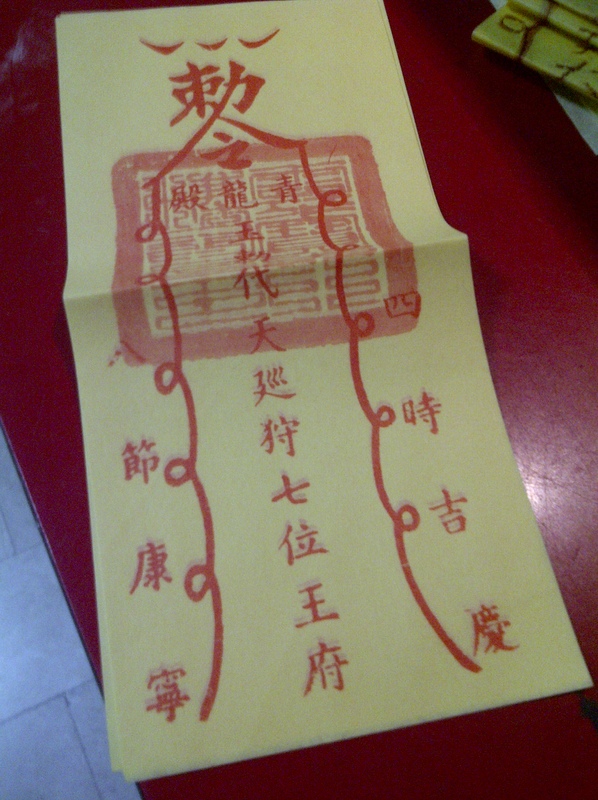 Fu or Hu is a Taoist magical paper talisman. 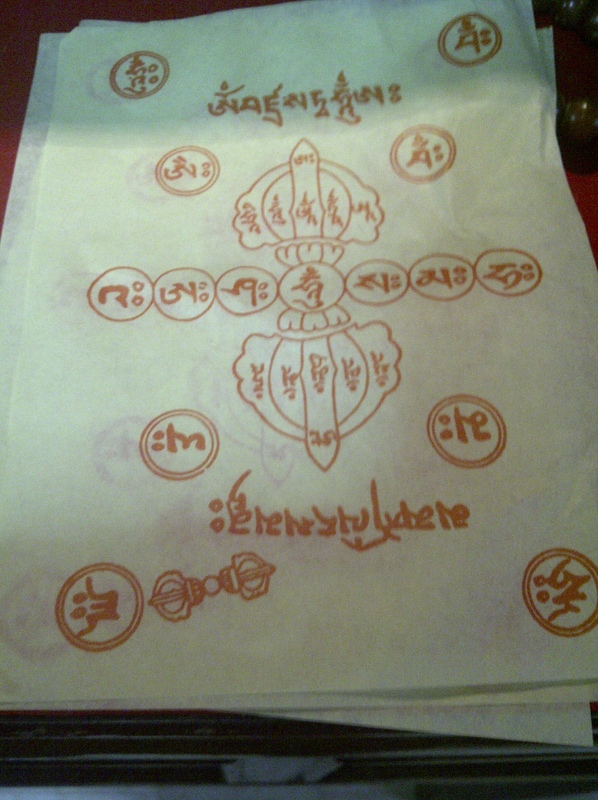 Fu is an ancient and special form of ‘magic’ or sorcery (sorcery is not exactly negative unless use in a negative way) that uses special characters or images or symbols or prayers or words ‘printed’ on a yellow rice paper in red ink. It is believed that a Fu can store a magic spells and good chi. While anybody can make a Fu or Hu, it entails a special skill and blessing from a Taoist God for you to be able to lock the magic spell or chi in the said magical paper talisman. To do this one has to be an ordained Taoist priest or a Taoist God medium. The said chi and spell is further locked into the Fu by making sure that it passes through the incense burner dedicated to the said Taoist God, Immortal or Deity mentioned in the Fu. 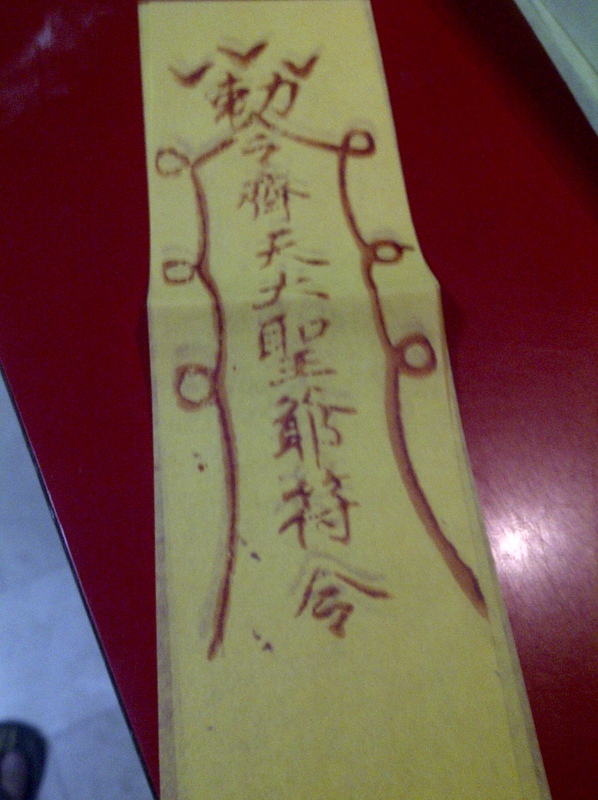 Anyone can activate and tap into the power of the Fu by carrying the magical paper talisman on one’s body, putting them on the window or door, or placing in the room, or simply by burning them. 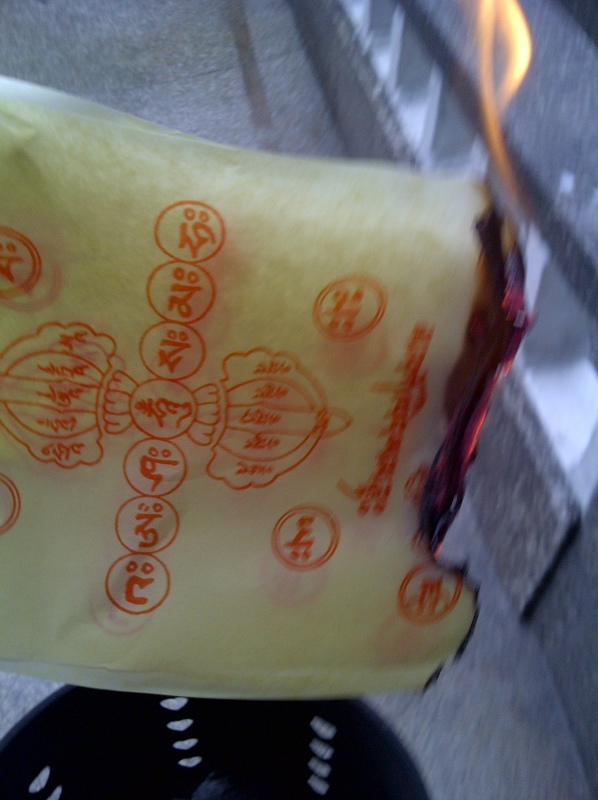 Most Fu or Hu are burned while one calls on the God, Deity or Immortal represented by the Fu followed by the intent. However, as mentioned, there are some Fu that are to be worn on the body like an amulet, or place on the door, etc. 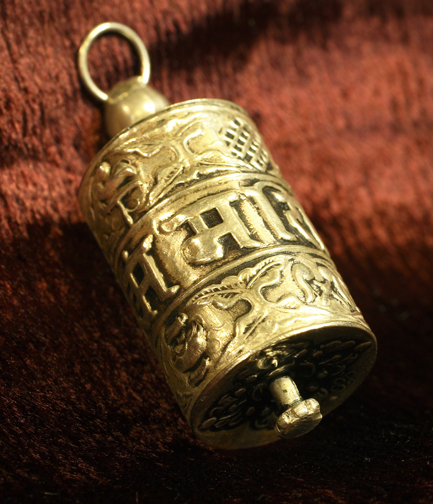 Fu(s), I believe, is one of the most powerful talisman in the world, provided you get it from a reliable source, and from somebody who is not driven by monetary reasons. Unfortunately, in the Philippines, there are some temples that sell their Fu. I don’t believe that this is right, especially, if there are patrons who have greatly benefited from tapping the power of the Fu, that they sponsor printing of Fu(s). There are different kinds of Fu(s), depending on the temple and sometimes depending on the purpose or intent of the person needing the Fu. One can use a Fu to invoke a God/Deity/Immortal’s help, to protect a household, heal the sick, or exorcise demons or bad spirits. Some people would associate the Fu like a petition paper, or a court order depending on the purpose or intent. This is a Fu that I burn every morning. It is a Fu of a Taoist Temple in Abad Santos St., Manila called – CHEAT TAI SOON. Unlike most Fu, one set of this is 7 pieces. There is no clear record as to what Chinese civilization first used the Fu, however, the Fu is mentioned in a lot of Chinese religious and political texts. An apocryphal Taoist text call Ku Wei Shu or Old Mystical Test, the role of Fu is associated with the last legendary Five Emperors of China, especially with Great Emperor Yu, the mysterious Emperor who founded the Hsia Dynasty. 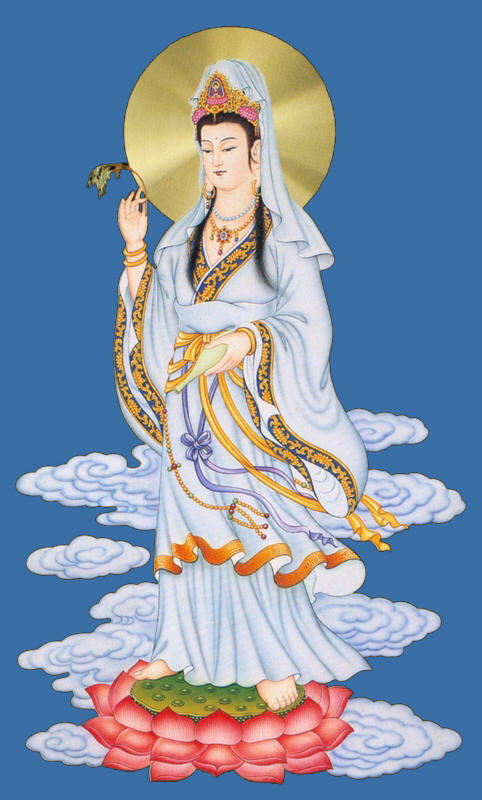 It is said that the Great Emperor has stop a terrible flood that has devastated most of China by burning several Fu of the Goddess of the North Star. 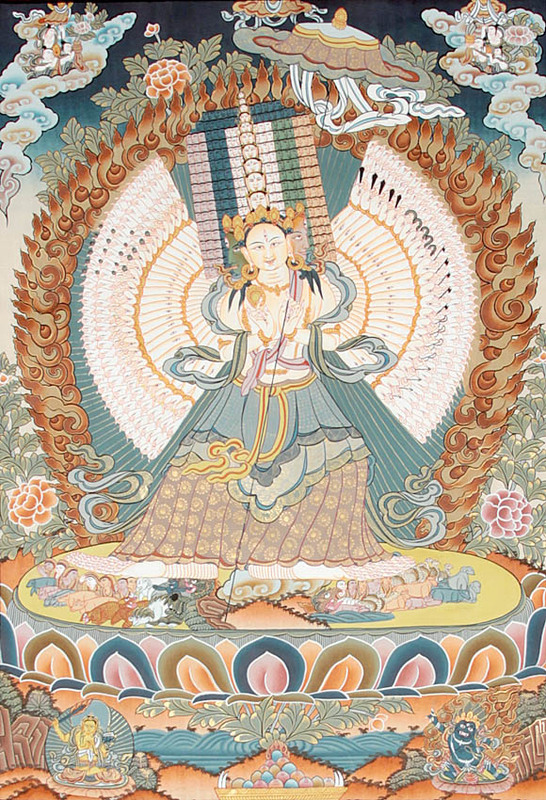 This is the Fu of the Goddess of Mercy / Bodhisattva of Compassion / Kuan Yin. I make sure I burn at least one set of her Fu everyday. Personally, I can attest to the power of the Fu, and I use it a lot in conjunction of my mantras and Feng Shui. There was this one time when one of our houseboy went into a epileptic attack, some say he was being possessed by a spirit, we don’t really know, but I specifically remember my mom just got a set of Fu, burned it and after less than a minutes our houseboy became visibly relax. He was sent to the hospital, but the hospital said that they don’t think he had an epileptic attack, and our houseboy claims that he saw a dark shadow hovering over him. 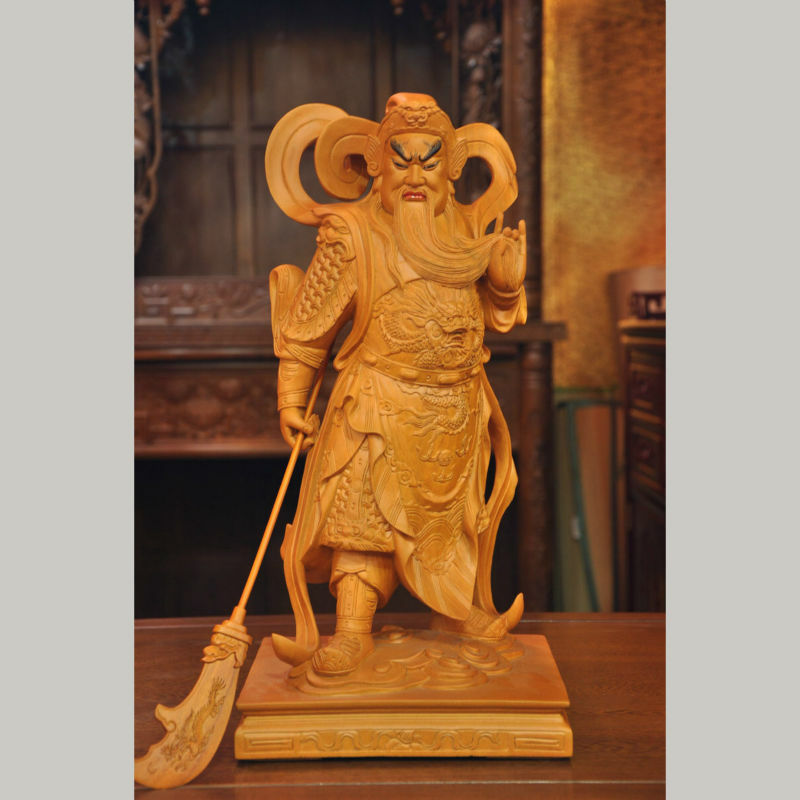 This is the Fu of The Great Sage, Equal of Heaven – Sun Wukong. Sun Wukong has three different kind of Fu. This one is for personal, family matters. Another experience with the power of the Fu that I had, happened when I was still involve in an NGO. One of our managers got an educational grant in Berlin, but he has to pay for her own airfare and board and lodging. The organization raised funds for her board and lodging, however, nobody has volunteered to shoulder her airfare. We decided to write to several politicians, travel agencies, and famous businessman. Unfortunately, all of them turned down our request, except for one Chinese businessman. When we called up his office, his secretary informed us that her boss has read the letter but that he really hasn’t replied. We are quite desperate already because our colleague is scheduled to leave in 2 days and she still hasn’t raise her airfare fund. We beg the secretary of the Chinese businessman to give us time to present our cause to the businessman himself, the secretary agreed and said we should go to their office that same afternoon and she’ll see whether she can give us 5 minutes with the Chinese businessman. We immediately left, and for some reason, I decided to bring a set of Fu (one set is 3 pieces) of The Great Sage, Equal of Heaven Sun Wukong.On our way, the secretary called my colleagues mobile phone and said that there’s no need for us to go because her boss has already informed her that he can’t finance my colleague’s trip. My colleague informs the secretary that we are already downstairs and begged her to still allow seeing the Chinese businessman. The secretary agreed and I decided to burn the Fu with the intent of getting the businessman to finance my colleague’s trip to Berlin. To make the long story short, we went up, had an audience with the businessman, and was asked a single question – How would the country benefit from this trip? – My friend gave her reply and she got the funds for her airfare! This is another Sun Wukong’s Fu. This one is for business. There’s another one but I don’t have a copy of it, that is for health. I know somebody who is sick of cancer and was given a ‘death sentence’ by his doctor. He started burning some Fu and now he is well. Even his doctor was surprised that he won over the cancer. There are a lot more stories about the power of the Fu, be it about money, business, personal problems, etc. The Fu has always made magical solutions for seemingly unsolvable problems. For one to be able to tap into the power of the Fu, the Fu is burned. 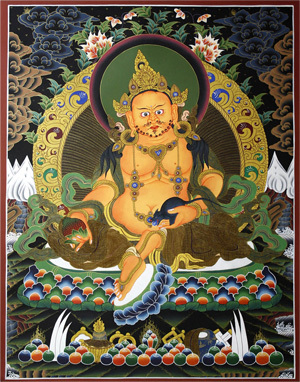 You call on the Immortal/Deity represented in the Fu, then you say your intent. However, there are some Fu that can be worn on the body and or placed on the door, etc. Today, I’m again sharing with you another email from a reader that I received last Jan. 18, 2012. I’ve emailed my response to his question, however, I would like to share it now also for the benefit of those who may going through the same thing and/or for those who simply want to know, specially because the same reader just called last night to inform me that my suggestion seemed to have worked. MW, my reader’s initial, sent me a private email to inquire about a Feng Shui cure for a hostile neighbor. According to MW, their neighbor in their subdivision is quite hostile towards them. The matriarch of the neighbor would often complain about their ‘smelly’ food, the noisy children of MW and his wife, the noisy dog, the neighbor also complains about how she can smell the fumes from their car in the morning when they’re about to leave, and in the evening when they get home. As if that’s not enough, the neighbor also complained about the pond in MW’s garden, which she said she could see from her bedroom window, and she also said that she’s afraid that the pond may be a breeding ground for dengue causing mosquito and she even ‘suggested’ that it be removed. She even went as far as approaching the homeowner’s association president to request that MW be pressured to get rid of the pond! MW and his family have lived in the said subdivision for more than 20 years already. That’s where he grew up and inherited the house from his parents when they migrated to the US. Hostile Neighbor is relatively new and has been there only for 3 years. Hostile Neighbor first moved in with her family-another couple with some children, and for reasons unknown to MW, she seems to live in the house on her own now. She just has some maids with her. MW and I exchanged numbers so we can talk about his problem properly. On the phone, MW explained that they’ve tried everything already. They went to talk to her, invited her to their home, send food to Hostile Neighbor, offer to run errands for her. They did these things because his wife said that they should be more understanding given that Hostile Neighbor is already old and that she may be feeling lonely. However, all of their efforts were turned down, except the running of some of her errands. MW decided to contact me because the matter has become so bad already and that not a week goes by that Hostile Neighbor will not shout something bad against them. It may be about the food, the car, the dogs, the pond, or even about their house help, but every week Hostile Neighbor will shout at them through their windows, and it seems to be getting worst each week. There are times that Hostile Neighbor is not contented with shouting, she would even go to MW’s house and ring the bell like it’s an emergency or like she’s been there forever and they’ve just been ignoring her! MW said they believe in Feng Shui and has consulted a couple Feng Shui consultants who suggested that they make some renovations and/or buy some Feng Shui cures to deflect the poison arrow that’s causing the hostility from the neighbor. MW followed their advice but nothing happened. When MW presented me with this matter, I just have to believe that the Feng Shui experts that he consulted are correct in saying that the hostilities are not caused by the bad Feng Shui of MW’s house. MW also clarified that they really haven’t had any major renovations and everything seems to be fine before the neighbor moved in. They’re certainly in good terms with their old neighbor, the previous owner of Hostile Neighbor’s house. 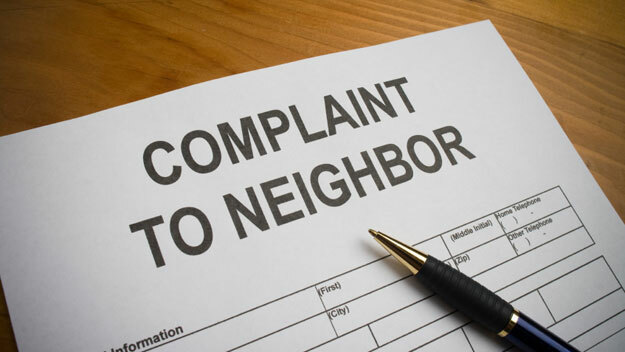 It’s possible that the hostility that they’re experiencing is due to either of the following reasons: Bad Feng Shui of the neighbor’s house that causes so much anger to the owners that is dumped on them because as they said aside from the house helps nobody else is with Hostile Neighbor, or it is deeply rooted in the BAZI of Hostile Neighbor. A neighbor’s Feng Shui will have some effect on us, just like our Feng Shui will have some effect on them. However, it’s pretty obvious that we can’t do much about our neighbor’s Feng Shui. So what do we do with problems like MW’s? Since MW is also Chinese and a Taoist – Buddhist at that, I suggested for him to do a Taoist ritual that may help protect him and his family against the hostility brought about their neighbor. I once suggested the same ritual with an aunt who is experiencing the same problem with her neighbor. Like I said, just last night, MW called again to inform me that the ritual seemed to have worked. It’s been about 3 weeks since the hostilities have stopped. Whether it has stopped forever or not has yet to be seen, but do allow me to share the ritual here. First you’ll need to get 7 pieces of lime. In China, they usually use Mandarin Lime or Mandarin Orange, but any lime will do. In the Philippines, it can be our local lime, which is Calamansi or you can also use Dalandan. Fill a big white bowl with tap water. 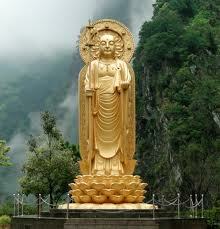 If you have an altar, call on the saints or deities or Buddhas on your altar. Do this by lighting 3 incense sticks and call on their help to help subdue the hostilities coming from your neighbor. If you know the full name of the neighbor, please mention his/her name. Place the incense on the incense urn or incense burner. Get the white bowl of water and let it pass through the smoke by rotating it 3 times above the incense urn or burner. Rotation should be done in a clockwise manner. Get the lime and let it be smoked by the incense as well. You do this by letting it pass through the incense smoke 4 times also. Just like white bowl of water. Cut 2 pieces of the lime and squeezed it’s juice into the water. Place the rest of the lime and the white bowl of water on the wall separating your house and that of the neighbor’s house. Leave it there overnight. The following day, anytime after sunrise but before 9 in the morning, simply splash the water with limejuice on your side of the wall. If you live parts of Europe where sunrise doesn’t happen until 9 in the morning, do it between 6 and 9 in the morning. Take the rest of the lime and throw it on the trashcan. If possible, throw it on a river, if you live near one. Do the ritual for 7 consecutive days. The past few days I got several emails from readers of this blog and calls from my friends asking whether I’ve seen the jade pendant of Kris Aquino. I suppose Google search on Kris Aquino’s Jade Pendant went up also because of this interest about what she’s wearing. I’ve seen the pendant that she’s been wearing, and yes it’s nice. Judging from the look of it it’s a jadeite and not a nephrite. Can’t really tell unless I see it in person and able to touch it. I’m also thinking that people are asking because they want to buy such a pendant for themselves. If you’re looking for it as a ornamental jewelry, I guess, that’s perfectly fine, but, if you’re looking for it as a Feng Shui jewelry allow me to say that what works for her may not work for you. Why? Simple. Feng Shui is personal. Kua Number. A Kua number, which is computed base on your birth date determines your lucky and unlucky directions, this also defines your health sector. While people with the same Kua number will have the same lucky and unlucky directions, you should note that there are 9 Kua numbers, meaning there are nine possible combinations. Astrological Weight. Again your astrological weight is computed base on your birth date. This basically defines on what kind of life one has or will have. Base on your astrological birth weight one can advice a possible Feng Shui charm that one will need for the rest of their life. BAZI Chart. 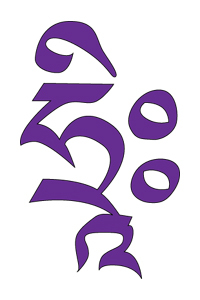 The Bazi is also called Paht Chee, 8 Characters, and 4 Pillars. Bazi, Paht Chee, and Eight Characters basically mean the same thing; it’s just said in different languages, namely and respectively in Mandarin, Hong Kong Chinese, and English. In fact, there are other terms for Bazi but they are all basically the same, and the ones mentioned here are the most common one. It is also called Four Pillars, because when writing down the Bazi you create four different pillars that help define who you are and your life luck, from this we then get the Life Luck Cycle Pillar. 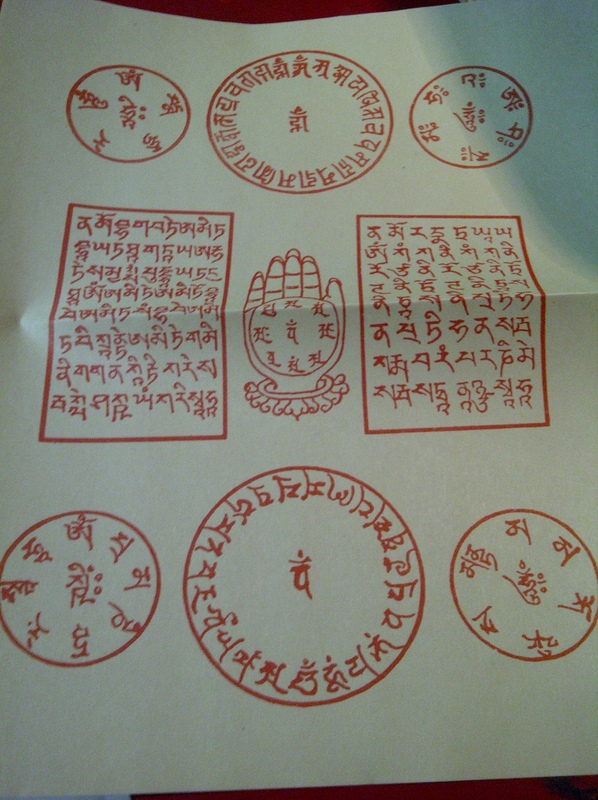 The Bazi is also computed through your birth date, and here we are able to look deeply as to what are your elements, your ruling element, your self-element, and what are the charms that you need. I once heard Chico Garcia of The Morning Rush of RX 93.1 saying that – I WAS SUPPOSE TO HAVE A VERY BAD YEAR LAST YEAR, BUT EVERYTHING TURN OUT WELL. That is because I would assume that he got a ‘generic forecast’, meaning, he would have just read it on the news paper, magazine, or a Feng Shui web site selling a Feng Shui charm, or a Feng Shui annual forecast book. I’m also guilty of writing down an annual forecast that is because I always believe that not all people will have access to or will be able to afford a Bazi reading. However, I always stress that the general annual forecast is just that – a general reading, in some ways it can be considered as a generic reading. 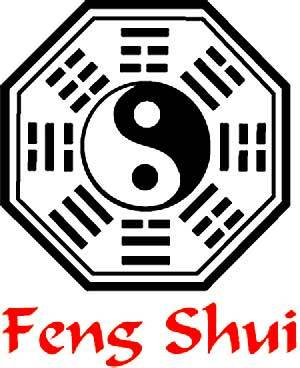 I also avoided suggesting Feng Shui cures that may have an effect on the person base on their basket of elements. The past couple of years showed a significant lack of the water element, and because of this a lot of the Feng Shui experts who sells Annual Feng Shui Forecast books and Feng Shui charms or cures recommended a Water Charm. While the said Water Charm may be useful for some people, it should be noted that there are people who can’t carry a Feng Shui charm because they may have a heavy weighting of the water element and ‘carrying’ more water will definitely be bad for them. In the same manner that they dispense of recommendations of the year’s lucky color, colors of clothes that we wear has a significant effect on our life because colors are representation of the five elements that governed the principle of Feng Shui – WATER, WOOD, FIRE, EARTH, METAL. So for 2012 Year of the Water Dragon’s Bazi indicates that there is a significance lack of fire element, you’ll hear people say that this year’s lucky color are – RED, ORANGE, PINK, VIOLET, PURPLE, because these are the colors that represent the fire element. 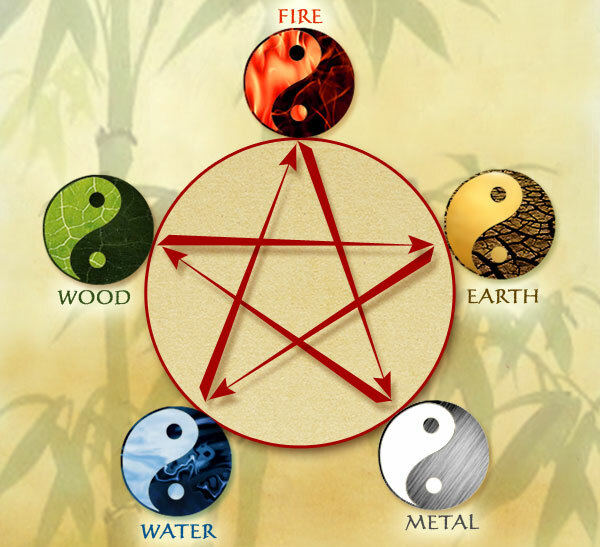 Again, while this in general is correct, people who have a very high fire element in their Basket of Elements base on their Bazi chart will find themselves getting into more fight, being exhausted, or ‘burning’ of their luck if they follow the so called lucky colors of the year. Going back to Kris Aquino’s jade pendant, if she’s wearing it as a Feng Shui charm then it might have been suggested by her Feng Shui consultant, however, buying the same pendant, which I presume is going to be pricey if its made of high quality jade, more so if it’s a nephrite jade, then furthermore expensive if somebody decides to market it as Kris Aquino’s Jade Pendant, will still not ensure that it will have the same beneficial effect on you. Always remember that Feng Shui is personal. If you happen to see a Feng Shui expert who markets a Kris Aquino Jade Pendant without even looking at your Bazi chart, your alarm signal should go off. Asking for your year of birth is not enough. It has to be your full birth date and time, and she or he must show you your Bazi chart for her or him to really be able to give an intelligent advice on your Feng Shui for your life or for the year. REMEMBER FENG SHUI IS PERSONAL.